NW: You made some interesting structural choices with The Women—one was to have one of Wright’s apprentices, Tadashi Sato, narrate the story, and the other was to present the stories of Wright’s love affairs in reverse chronological order, so the reader learns how each of Wright’s love affairs ends before he learns about how it began. Was your point in reversing the chronology that certain patterns repeated so regularly in Wright’s life that the timeline of it begins to seem circular? TCB: Well you know I’m not allowed to say things like that. But I very much like your interpretation. Sure, it enables me to reflect somewhat on the pattern of not only that love affair but many other love affairs that people have had over time. You know, where you’re obsessed with the lover and want to spend every minute with him or her, and maybe it doesn’t turn out so well and they become the worst person in your life. So at each stage of this novel, we see the horrific harpy in the wings, and then we see her in the light of redemption as it moves on. And furthermore, to use Tadashi Sato and his grandson-in-law in writing this is something I was inspired to do by Nabokov, for instance. It’s just very playful and it allows the reader to reflect on history and versions of history and what’s true and what’s not. 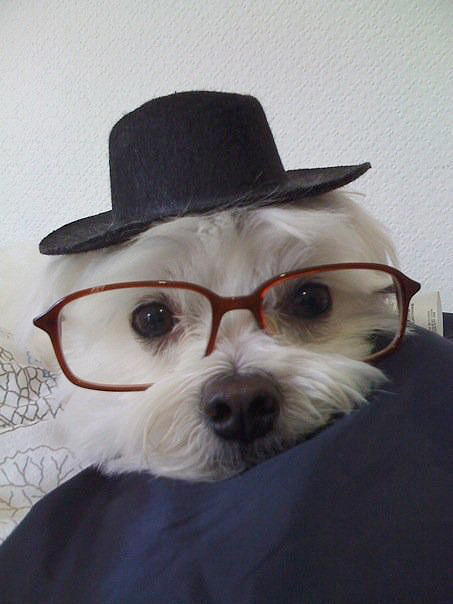 Also: this Hipster Puppy asks you to be careful (Puppy's hip but can't spell).